A quilt made to highlight the plight of the Royal Mail was exhibited at the Festival of Quilts held at the NEC in Birmingham between the 19th and the 22nd of August 2010. 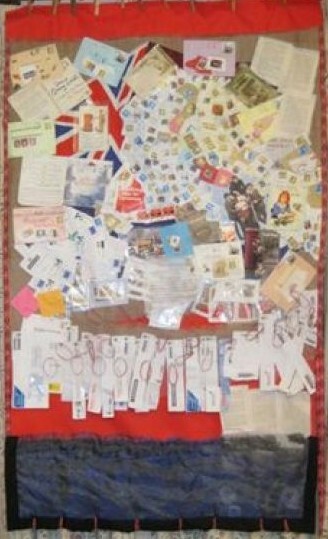 The quilt is called The Romance of the Envelope and is made by Charlotte Soares of London. 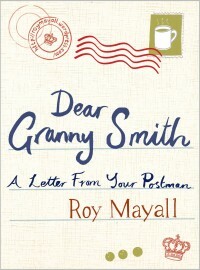 It was inspired by Dear Granny Smith and incorporates parts of the book in its design. 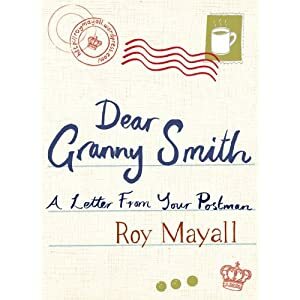 “Inspiration, Roy Mayall’s ‘Dear Granny Smith’ educating me about threat of private sorting firms taking lucrative business from Royal Mail. The Romance of the Envelope. Red pillar boxes, Postmen, mail through the door, like fish and chips, are part of our way of life. But just as fish and chips is threatened by the pizza industry, so sorting franchises threaten the extinction of a British invented institution we take for granted. Did you even know UK Mail etc are not part of Royal Mail? It’s CRAZY. Use it or Lose it! Befriend contentment, harbour no disappointment. Stitch with integrity. Know when to stop. Stephen Seifert, The Tao of Quilting. “This quilt grew and grew from a few stamps sewn together to a wall hanging with a story without an ending,” she says. “It’s not the world’s best sewn quilt. It’s very rough and ready but as my daughter said, sewn with passion. It’s quite delicate and I hope it survives its journey to and from Birmingham. I am thinking of donating it afterwards to the new postal museum in Swindon. Let’s hope the message gets through.